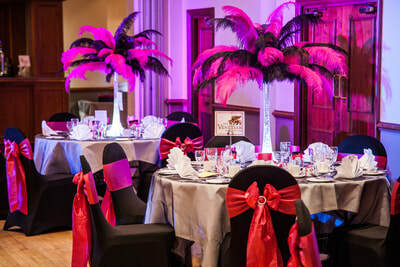 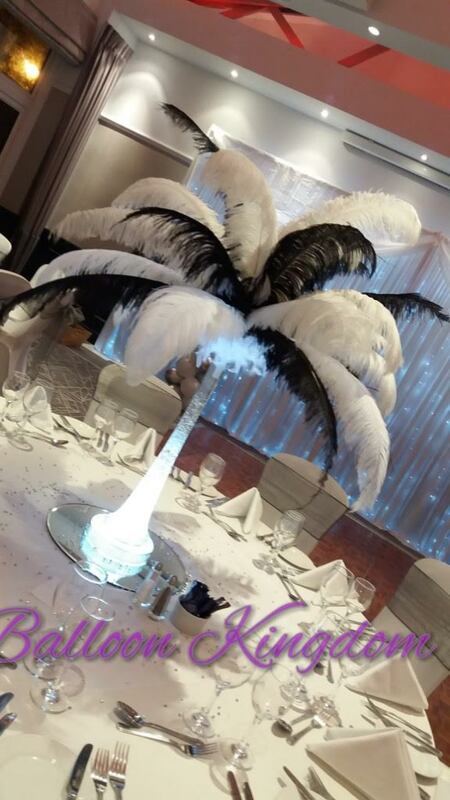 Ostrich feather centerpiece have the real WOW factor. 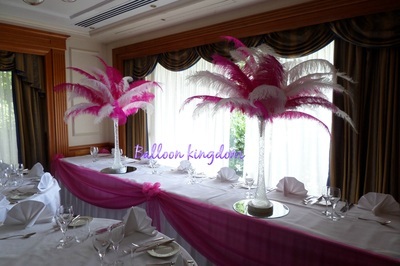 Available in most colours to suit your theme. ​ 50cm to 78cm (20 to 30") ostrich feathers on top of a 60cm lily vase filled with crushed ice gel on a LED light base finished with a 40cm mirror plate. 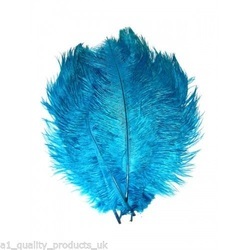 ​Feathers are a natural product and vary in length, fullness and shade. 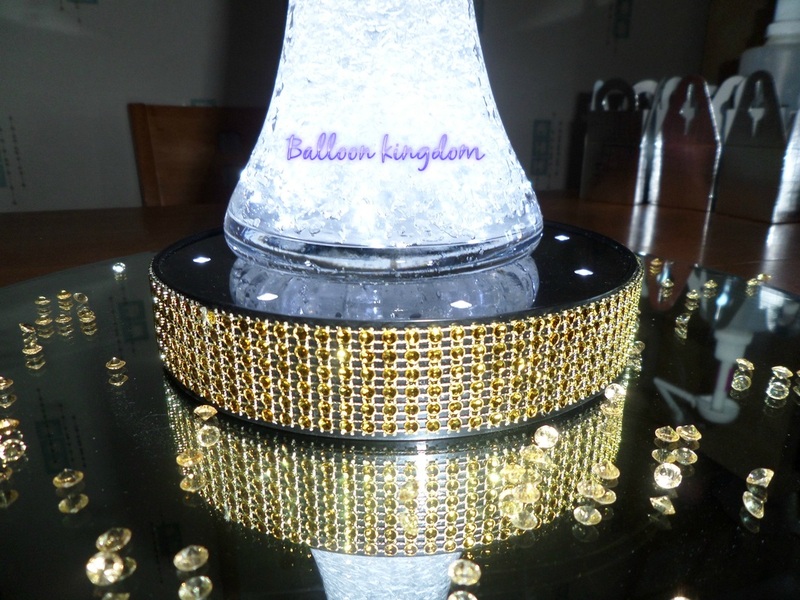 For more details email balloonkingdom@gmail.com or fill in the form below. 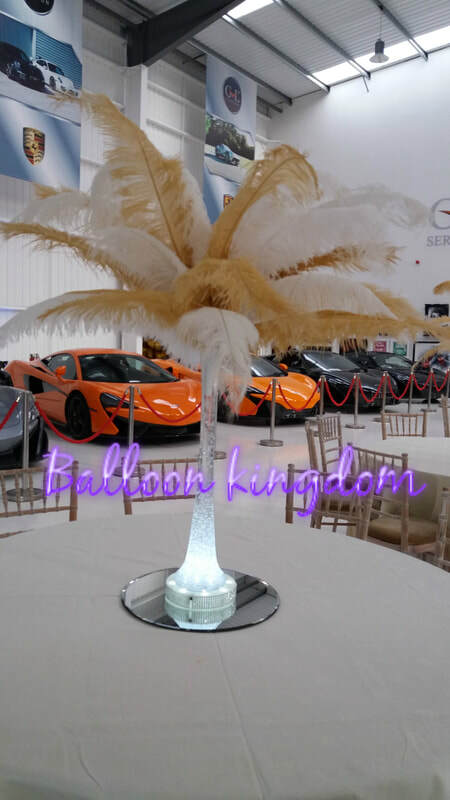 All hire items require a refundable damages deposit which is returned when the items are returned in an acceptable condition. 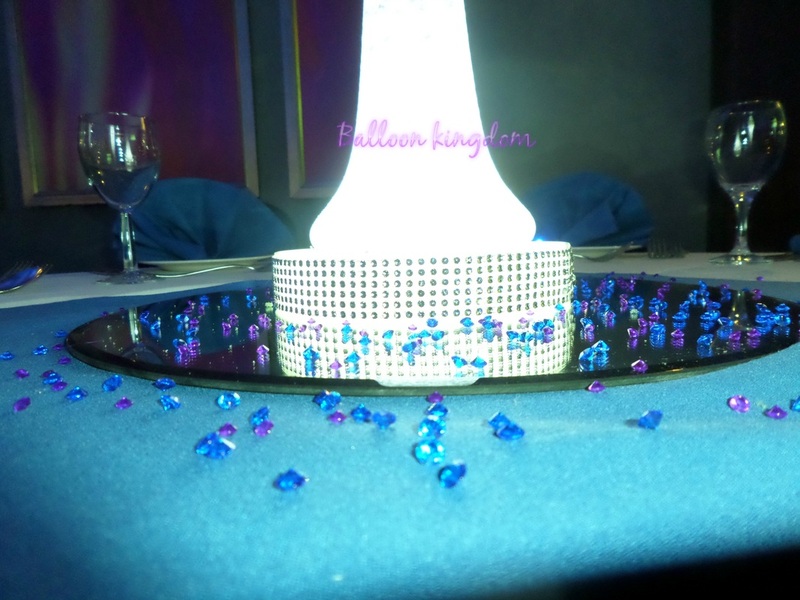 Please note that candles cannot be used near or under the feather centerpieces as this is a fire hazard. 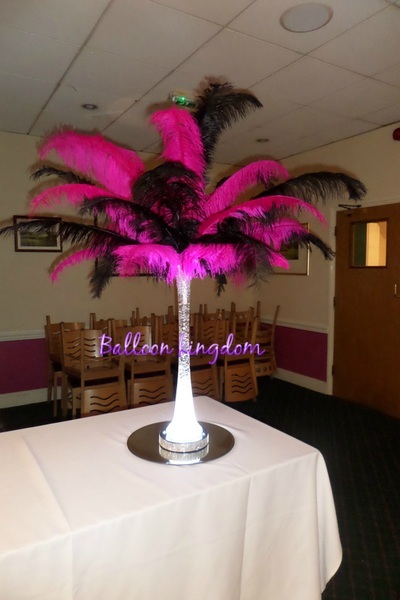 Supplied with 40cm mirror plate and uplighter. 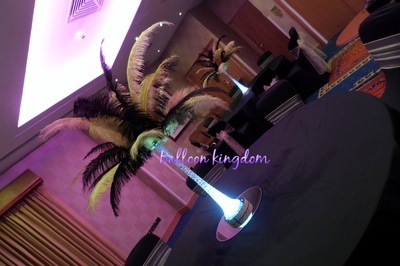 20 to 25 feathers in a 60cm lily vase filled with clear or black crystal ice gel. 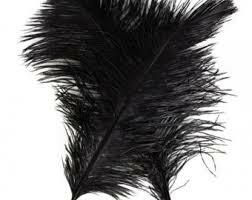 Feathers are approximately 20" to 30" long. 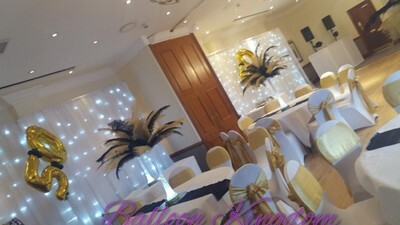 White LED uplighter with silver diamante edge. 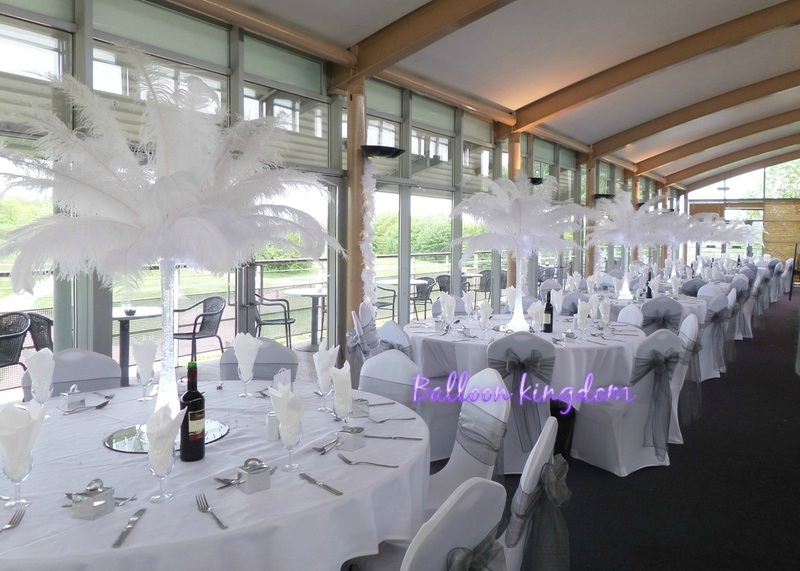 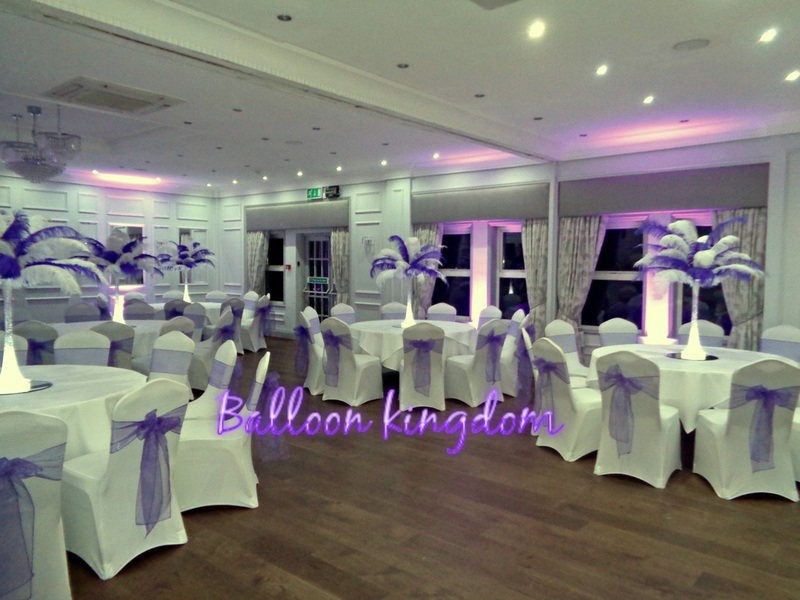 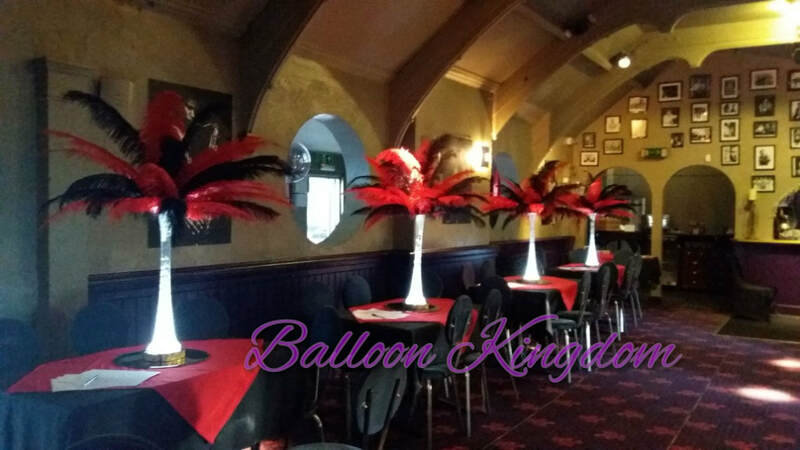 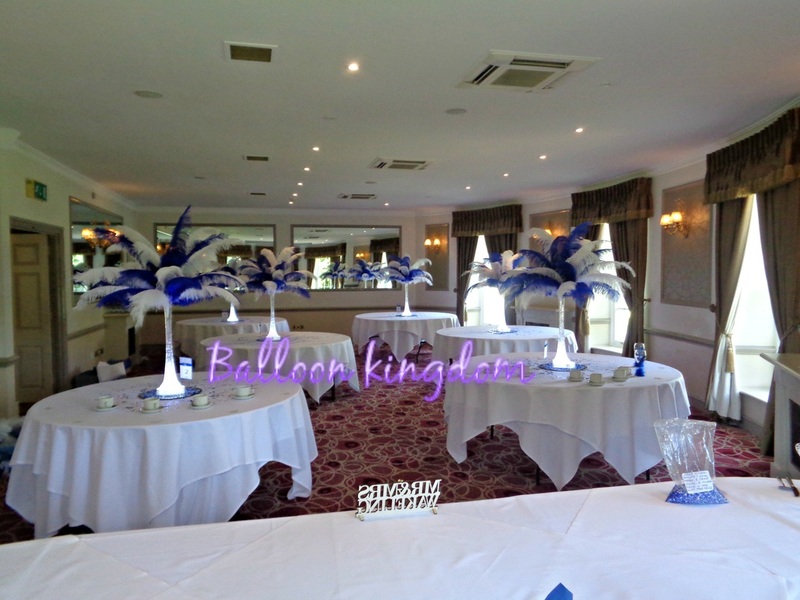 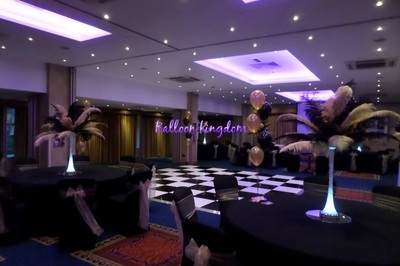 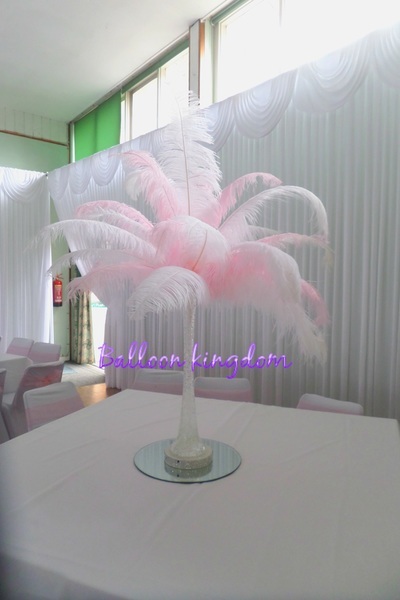 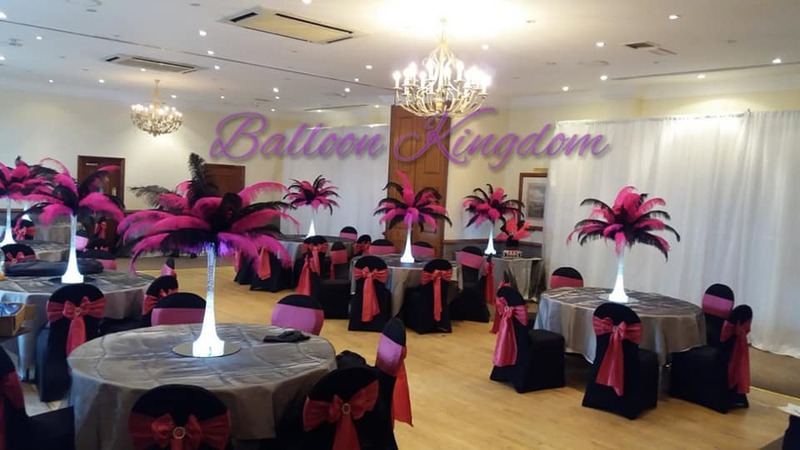 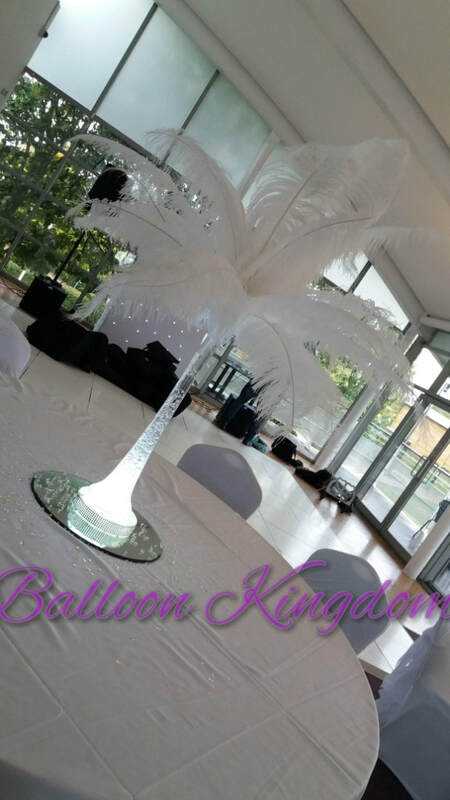 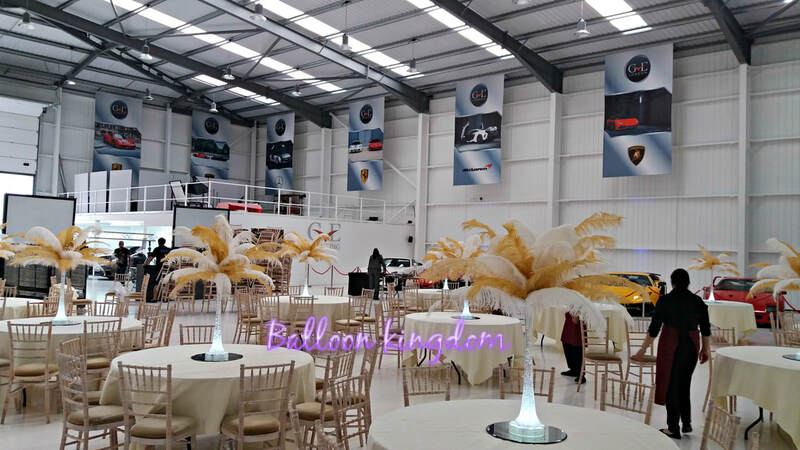 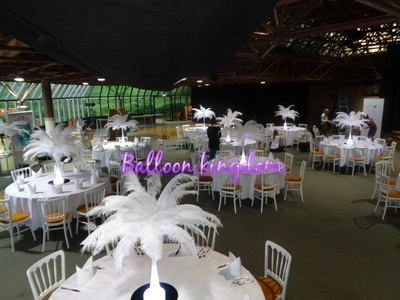 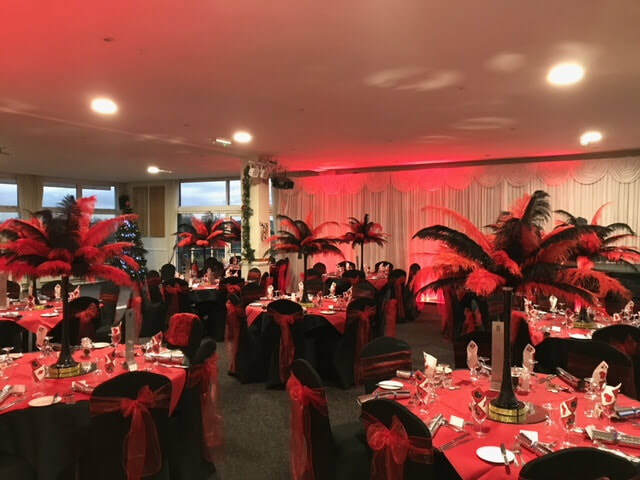 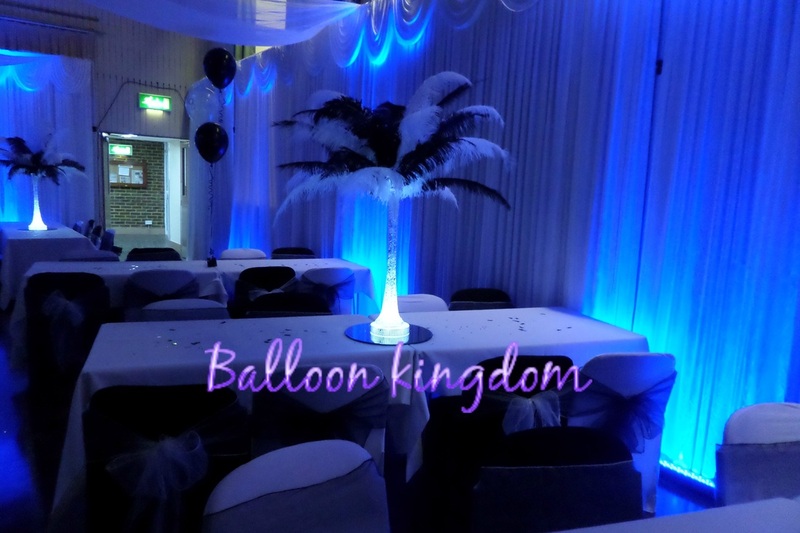 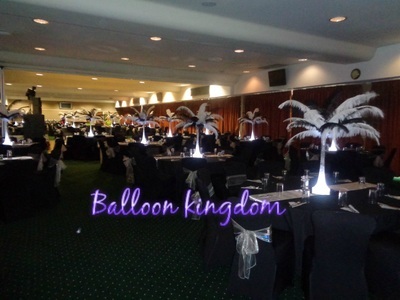 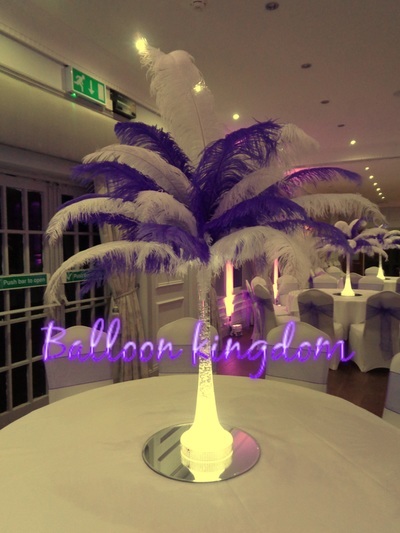 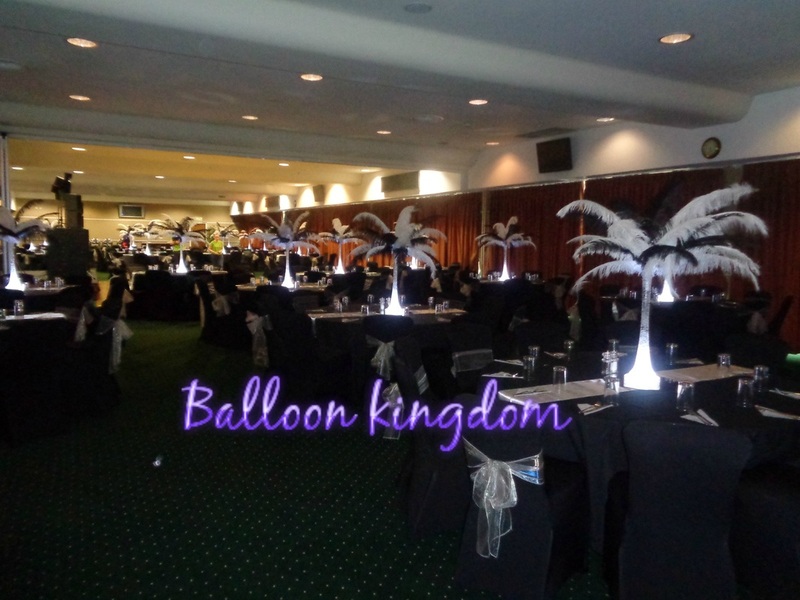 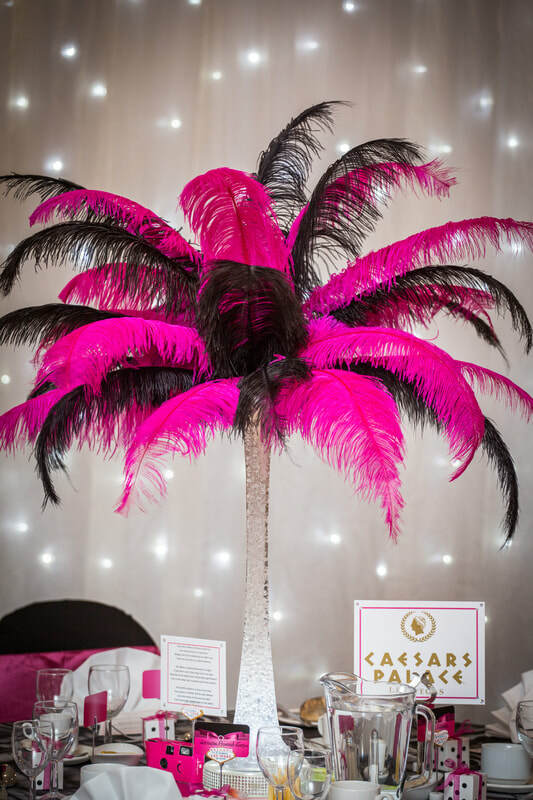 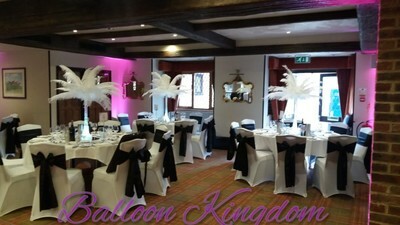 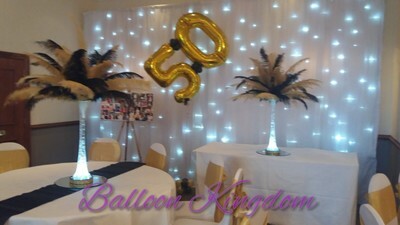 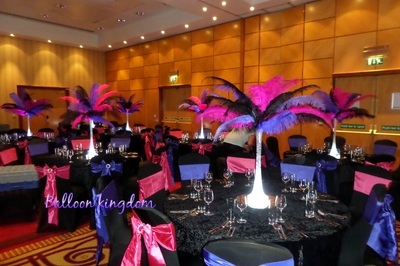 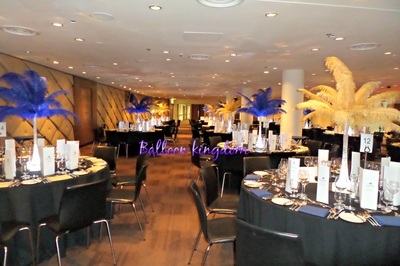 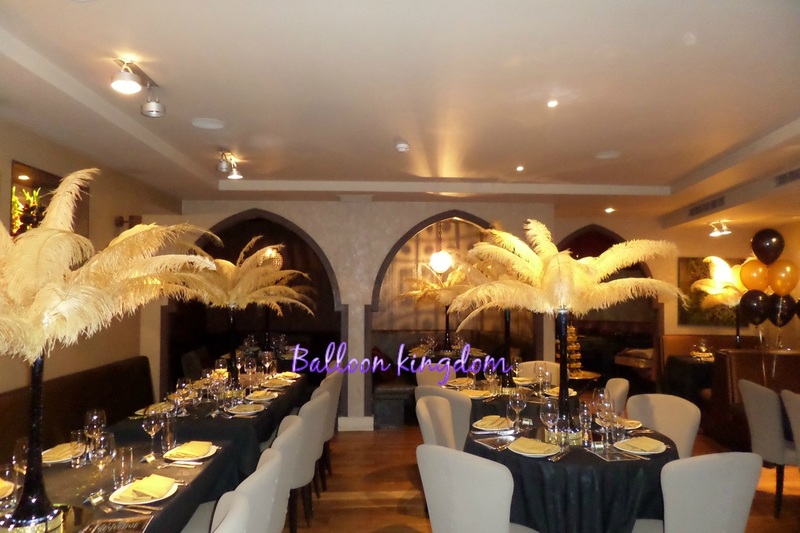 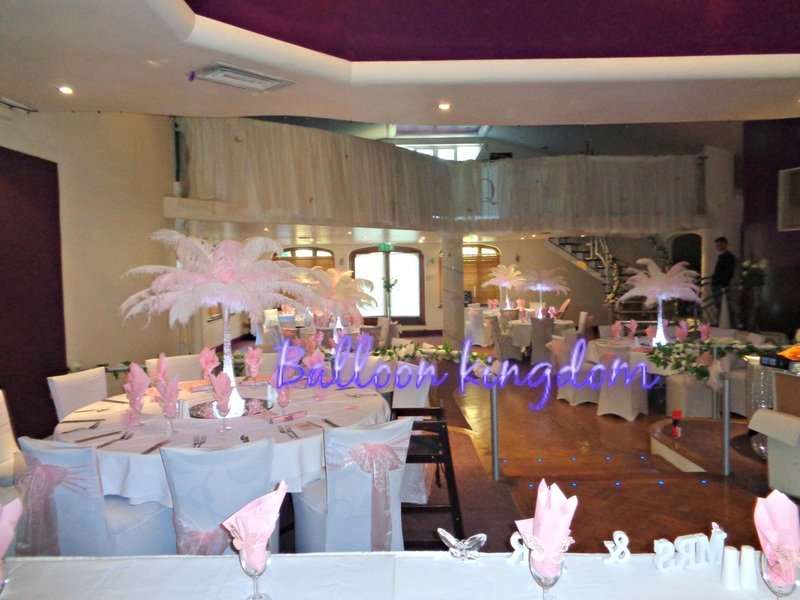 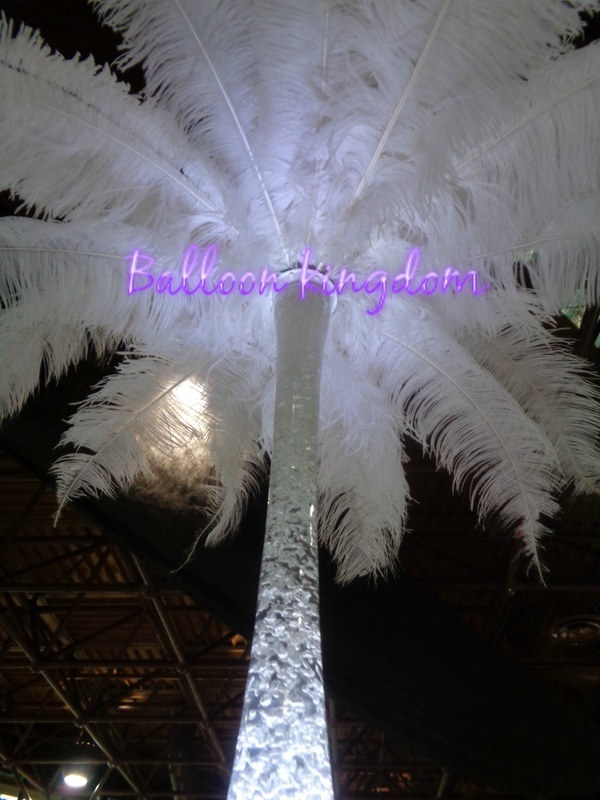 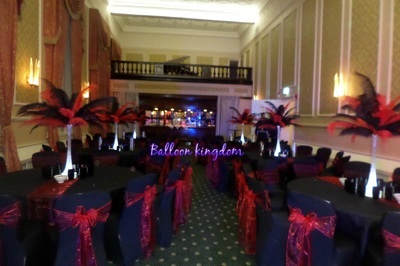 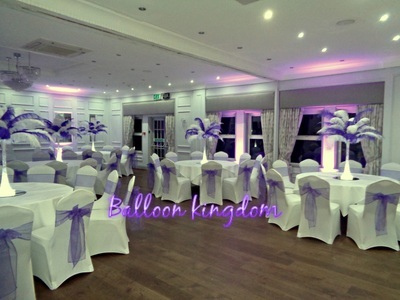 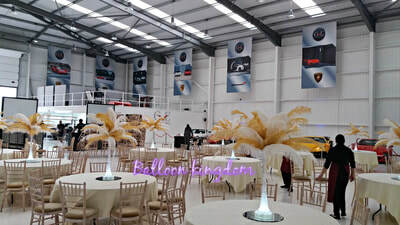 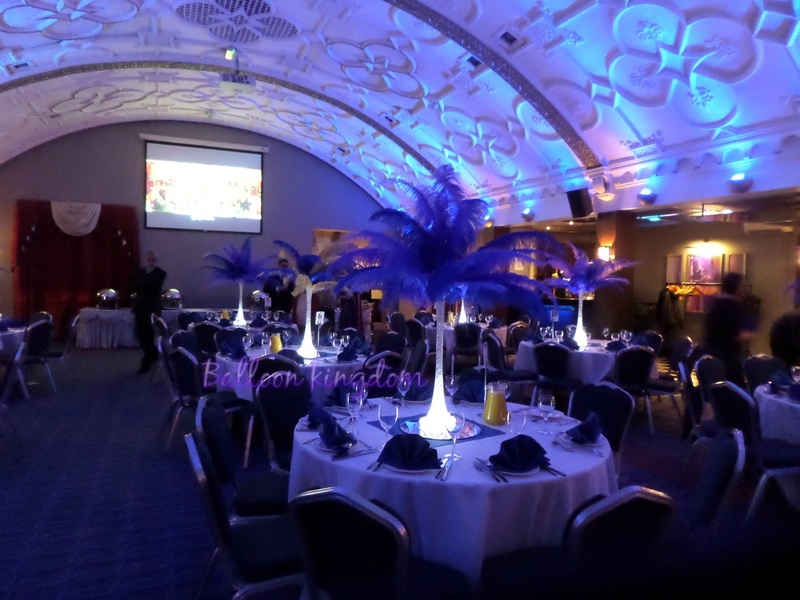 Ostrich feather centerpiece hire in UXBRIDGE, HILLINGDON, HAYES, WEST DRAYTON, IVER, SLOUGH, LANGLEY, DATCHET, DENHAM, WINDSOR, HOUNSLOW, FELTHAM, SOUTHALL, EALING, HEATHROW, RUISLIP, STAINES, EGHAM, VIRGINIA WATER, ASCOT, STANWELL, WRAYSBURY, STOKE POGES, STANWELL, SOUTHALL, BURNHAM, WEXHAM, CHERTSEY, ADDLESTONE, ASCOT, HANWELL, YEADING, NORTHOLT, MAIDENHEAD, MIDDLESEX, EAST BERKSHIRE, BUCKINGHAMSHIRE, GREATER LONDON WEST and surrounding areas.